What do you get when you take the delicate, filigree lace of shuttle tatting and create an elegant, romantic tatted lace pair of earrings? A unique, enchanted lace earrings fashion statement that is made to order for you! Tatting is the technique of knotting thread into lace that is very delicate in appearance, yet is exceptionally strong and durable. 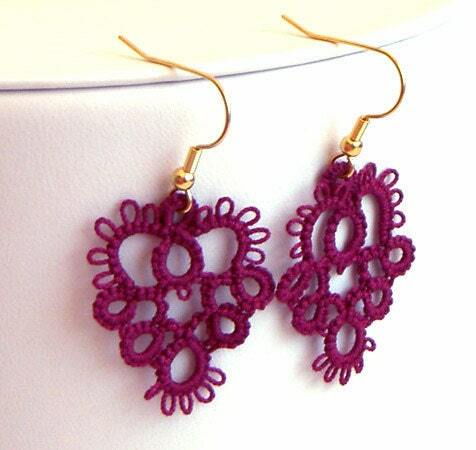 My tatted earrings are handmade with a tatting shuttle by me using only the highest quality threads. Each knot is uniform, firm and made to last.